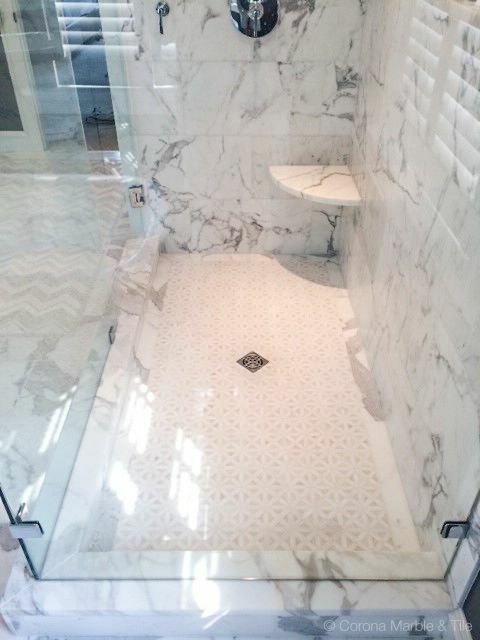 The DITRA-HEAT floor warming system is installed underneath the marble tile throughout this 125 square foot bathroom. 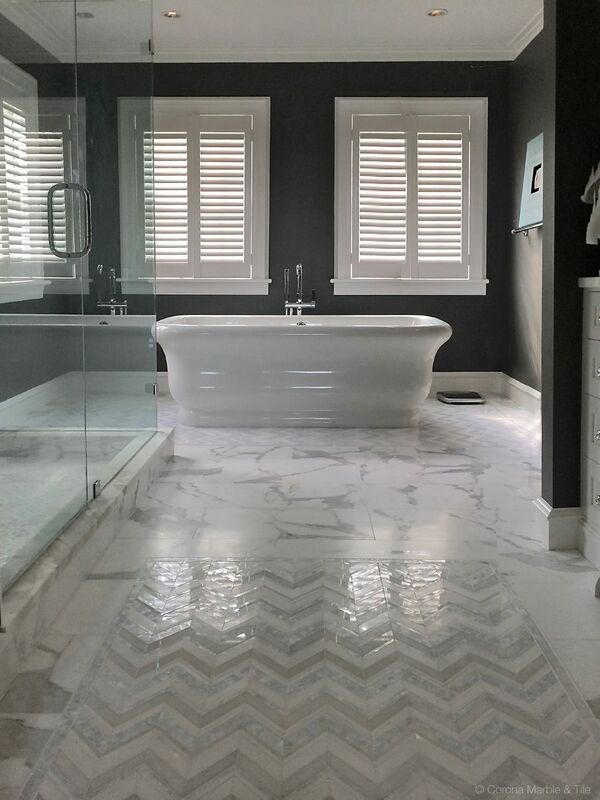 Stepping out of this luxurious bathtub onto a heated floor is made possible with the DITRA-HEAT electric floor warming system. 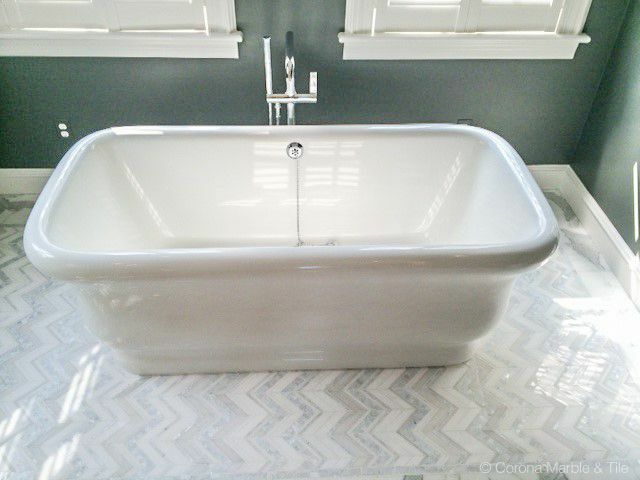 This exquisite shower floor was constructed using a mortar bed and KERDI-DRAIN. 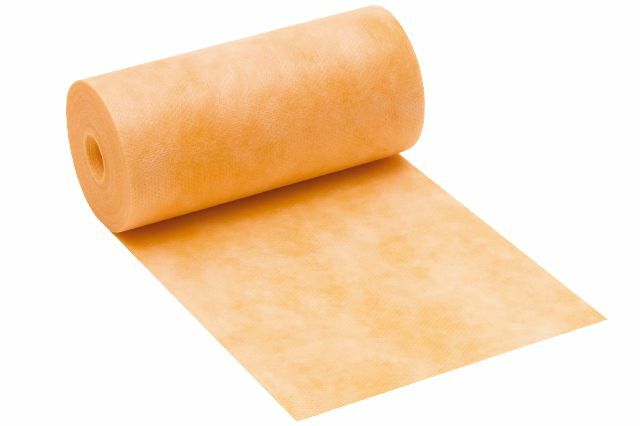 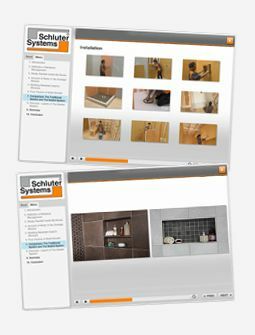 KERDI waterproofing membrane and KERDI-BAND seal the mortar bed and connections, preventing moisture from penetrating the shower floor and walls. 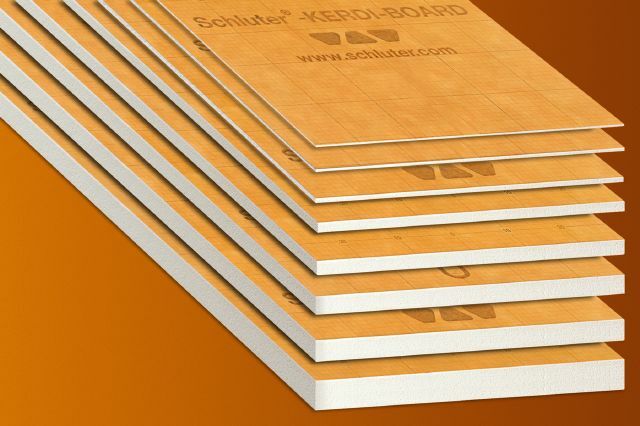 KERDI-BOARD is used to build the corner bench and dividing wall.